The April patch is live for DC Comics crossover fighter Injustice 2. Taking the game to Version 1.19, the new update fixes a host of in-game problems and makes individual balances tweaks to just under half the game's expansive roster of heroes and rogues. The in-game changes include the ability to regenerate Story Mode gear to level 30, adjusting the conditions of certain tutorial missions, adjusting a bug that saw loot box unlocks lean toward Hellboy and Black Manta, as well as other minor UI and text fixes across the board. 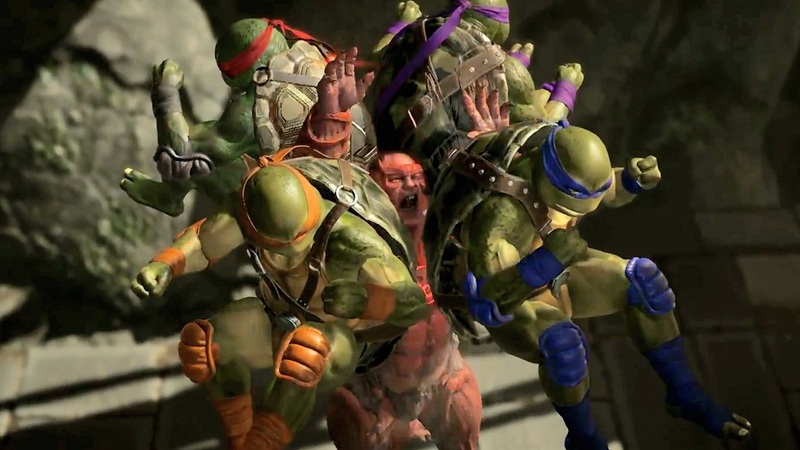 As for the guys and gals themselves, the Teenage Mutant Ninja Turtles have had numerous tweaks to the attributes of their special attacks. Firestorm, Captain Cold and Doctor Fate have also received numerous frame adjustments. The full list of Version 1.19's changes can be seen below.